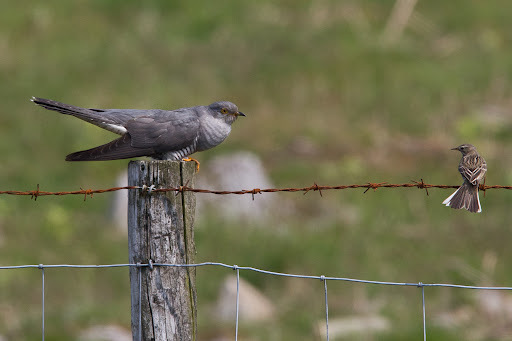 Too Damned Hot for proper work this Morning, So i took an hour off and headed to Twmbarlwm in search of Cuckoo’s , I could hear them in the distance as soon as i stopped the truck. Setting up under a low Beech tree i waited and within 20 minutes two flew straight towards me landing in the tree about six feet above my head . 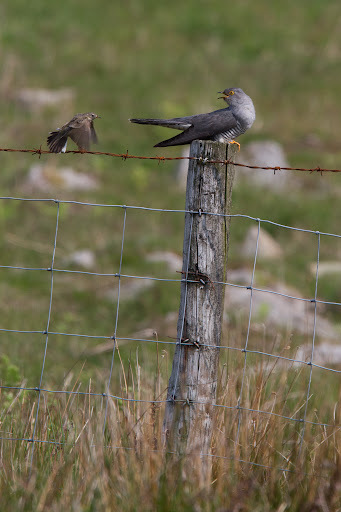 The one left after a short while to land on a fence post nearby with an angry Pipit ( i think ? ) mobbing it. Well well well, you've landed my bogey bird. 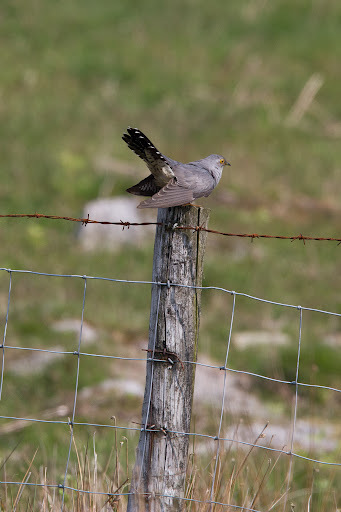 Don't know how many times I've nearly had a cuckoo, even managed a fence post with nothing on as it just flew off!!. Great set though Tim, really like the second shot. Hi Timi've been back since with no luck ! always in the right place at the wrong time ! !night jars are here again , easy to find as well. but not as easy to see in low light. what's all the fuss about, you can see loads of these in any reputable clock shop….. Thanks for the info Mr Bowser !